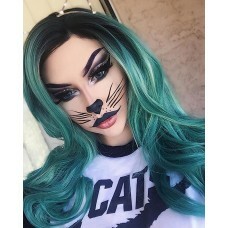 I absolutely love this wig!! The hair feels amazing. 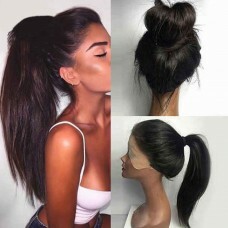 It is very soft and can go into any style easily. 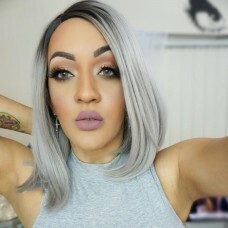 There is some shedding but overall this is a great wig. I will be ordering more from this company!! VERY VERY VERY soft!!! And its lace is very silky! I've washed it a few times and it still looks good and not wiggy. Soooo good quality and no shedding, tangling , or breakage but does has a little thick for me so I have to cut it to make it more natural for my style. Will recommend it! 2.Freestyle parting – so you can part in any desired direction. 3.No more need to worry about your edges showing or your tracks being exposed!! 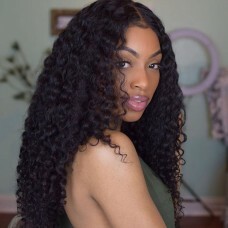 What Is 360 LACE WIGS? We pre-sewed the 360 frontal & bundles into a wig. It is not full lace, not lace front, which is with lace around. 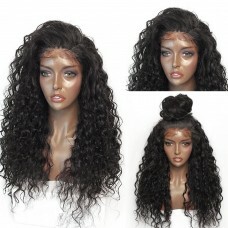 360 lace wig is with more wefts at top, total wig density is 150% or 180%. 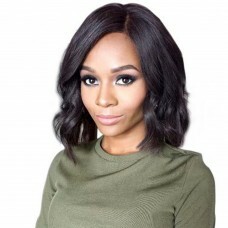 WHY CHOSE 360 LACE WIGS? From the review which wrote by customers maybe you can find the answer. This 360 frontal is perfect! 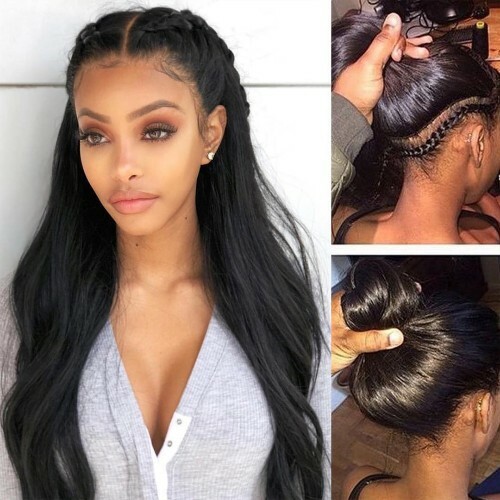 The density is perfect to give it a realistic effect instead of the wig, so it will look more natural and like it's a natural hairline especially if you wear it parted to the side, the body wave pattern is pretty. Up-dos and high pony tails. Freestyle parting,so you can part in any desired direction. Low maintenance, make hair last long, save time and money. 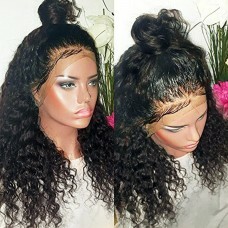 No more need to worry about your edges showing or your tracks being exposed! 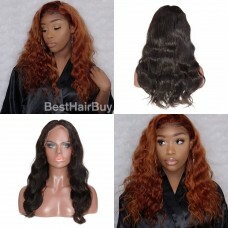 You will have more depth in styling options with this trending and revolutionary hair extension piece. 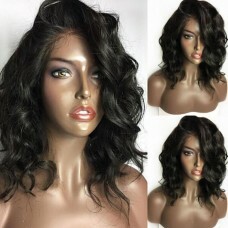 A: Of course you can if you purchase our human hair wigs for the ultimate styling versatility - you can curl or straighten them as you would your own hair.Unquestionably, just like our own hair, of course the less heat you use the better.About this point you could try to know How To Curl A Wig in correct methods. 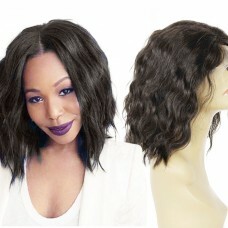 Q3: How do I apply a wig? 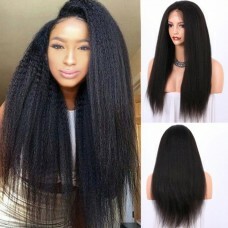 A: To perfectly apply a wig is not easy before you know how to natural 360 lace wigs installation. 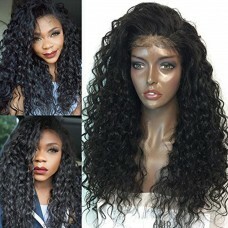 Q4: Can I restyle my wigs ,I worry my wig can not be stand it? 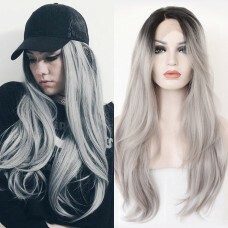 A: Absolutely you can, no matter what you do such as perming, dyeing or others, just you can use in correct ways:you can learn to How To Dye Wigs At Home and care proper after restyle, we have confidence in our products. A: Looking after your human hair wigs is very important in order to increase the life of them. 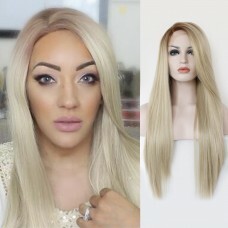 You may like to click the link: How To Take Care Of Your 360 Wig. 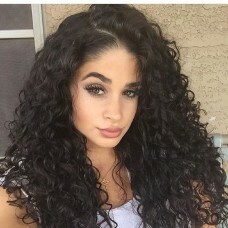 Q8: Will I look natural with the human hair wig? 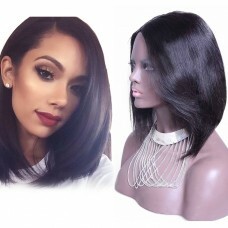 A: Yes, you will look very natural with our lace wigs because firstly the hair is hand-tied to the lace which will make the hair look exactly like growing from your head.Secondly, the hairline of our human hair wigs is very natural as if they are your own scalp.